We are instrumental in offering Distribution Nozzle (1 A) to our clients. The standard plastic used for making the nozzle body is suitable for service at temperatures up to 180 F. Each nozzle is supplied with silicone gasket, plastic turbulator and orifice, forming the ' nozzle assemble. 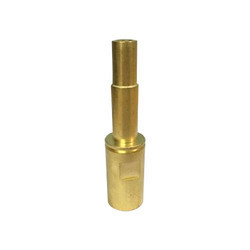 Our esteemed customers can avail from us an exquisite range of Jet Nozzle. Advanced technology and latest machinery are employed in the manufacturing process following standards and norms of the industry. The material that is sued for manufacturing these nozzles is sourced from vendors of high repute. 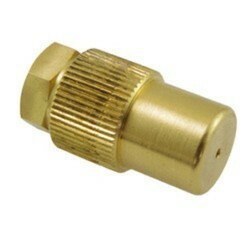 We are providing a high-quality range of Adjustable Brass Nozzles. These are developed by expert’s team who has affluent industry expertise and practice. With an objective to fulfill the ever-evolving demands of our clients, we are engaged in offering a wide assortment of Plain Face Adjustable Nozzle. We bring forth our vast industrial experience and expertise in this business, indulged in offering high quality range of Adjustable Gallonage Nozzle. The OMAX® Manual Adjustable Tilt Nozzle is manually adjusted to tilt at a fixed angle from 0 to 45° which allows cutting in one direction on a product. This accessory is a bolt-on attachment that mounts to the Motorized Z-axis of an OMAX abrasive jet cutting machine. Our company holds vast experience in this domain and is involved in offering Pro Adjustable Nozzle.